Savii Inc. provides an easy-to-use software platform and mobile caregiver point-of-care app to enable home care agencies to profitably deliver superior patient care, while reducing administrative workload. The HIPAA-compliant Savii Care platform automates workflows and enables agencies, caregivers, patients, family members, and payers to coordinate and communicate. From managing referrals, hiring caregivers, client intake, to scheduling, care delivery, and billing (Private Pay, Medicaid, VA, Managed Care Organizations, and Insurance), Savii’s integrated platform connects care, by connecting people. Q: You’ve recently secured a follow-on financing from lead investor Cofounders Capital, along with existing and new investors; could you tell us something more? A: Since Savii’s arrival on the scene in 2014, the Company has been an innovator and disruptor. The first few years concentrated on talking to agencies to understand their needs and challenges, and focused on user-driven design to develop the best product. When Savii ramped up commercialization of the product, it was evident that Savii’s new-age technology was in demand and it was a big market. As the company grew, it became evident that additional resources and experience would be required for the next phase of hyper growth to take Savii’s solution to the masses. 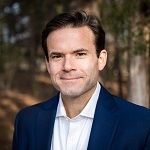 Cofounders Capital is run by one of the most successful NC entrepreneurs, David Gardner, and he saw Savii’s value and wanted to make a continued lead investment to help Savii scale quickly. Also, Savii’s Co-Founder, Michelle Harper, knew that experienced, proven leadership had to be brought in for this next phase of expansion to build upon her innovative product expertise. The confluence of those events – additional capital, a new CEO and CTO, and a growing market – led to an investment and additional talent that gives Savii additional momentum to be a dominant player in the home care agency software market. Q: Could you explain the most prominent advantages of your mobile-first software platform? A: After years of working with private duty agencies and making home care software, our Founders set out to improve upon the then-current software options. 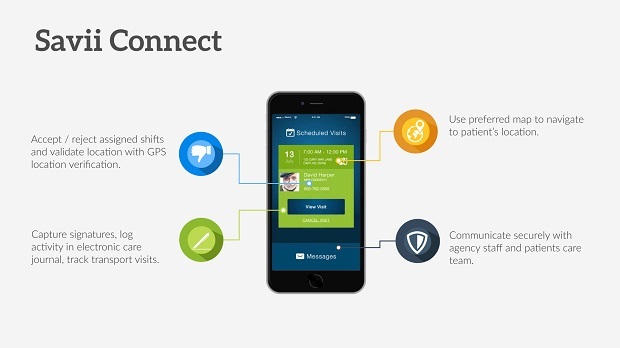 This user-centric design helped Savii build the easiest-to-use solution in the market, including the Savii Connect caregiver POC mobile app for Android and iOS, which at the time was ONLY app that allows caregivers to document care in the field even if they lose connectivity. Though the Savii Connect POC App caused the initial disruption in the home care agency software market, it is only one piece of Savii’s platform. 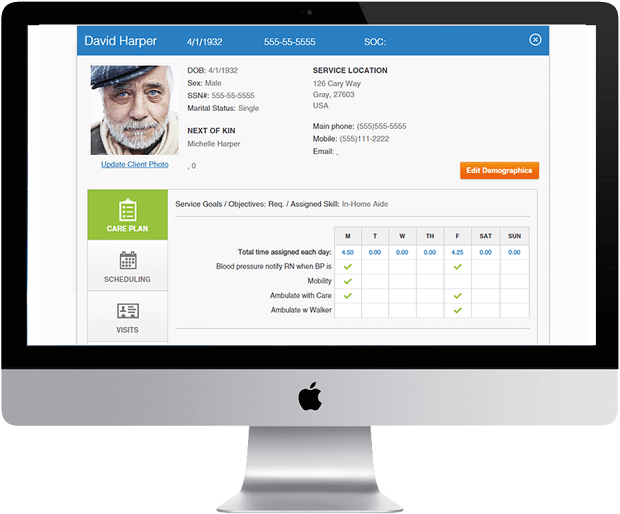 The integrated platform includes Savii Care, Savii Connect, Savii Family, and Savii Nurse, and this complete solution allows a home care agency to efficiently and profitably deliver superior patient care, while coordinating and communicating across all interested parties. Though competitors have tried to catch-up and catch-on with web apps, most of the competing technology was built before the smart phone. We continue to see agencies that are using legacy competitor software reach out to Savii, which tells us we have a compelling value proposition and a great solution. Q: What are main benefits for home care agencies? A: Agencies can increase profitability, reduce admin workload and paper, and ensure compliance with the GPS visit validation/Electronic Visit Verification™ (EVV), etc. Second, the workflow automation improves communication and coordination across the many parties, including agencies, patients, caregivers, families, and multiple payers (Private Pay, Medicaid, VA, Managed Care Organizations, and Insurance). Home care agency employees do heroes work, and our goal is to help them deliver superior patient care most profitably and efficiently. A: We have big plans for 2018, including making a significant investment in product development to add new functionality. Secondly, we will increase our investment in the customer success team, and already have. We are known for superior customer service, and from training, to onboarding, and regular support and account management we treat our customers like prospects and never take them for granted. Customer satisfaction is one of our core pillars. Finally, we will invest in business development and sales resources to ensure we are bringing to Savii to more great agencies. Q: How can we learn more about our product? A: We try to make it as easy as possible by hosting no pressure demos every week, or people can schedule a 1 on 1, 30-45 minute initial demo & discussion.